Today I am sharing my Primitive Sunflower Make-do epattern with you. 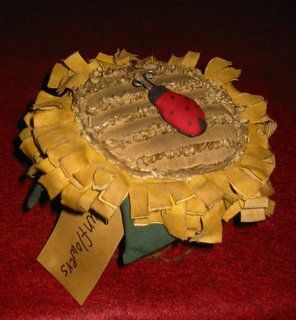 It is a large sunflower with a lady bug sitting on top of it. It attaches to a rusty bed spring. To download the pdf pattern click HERE.